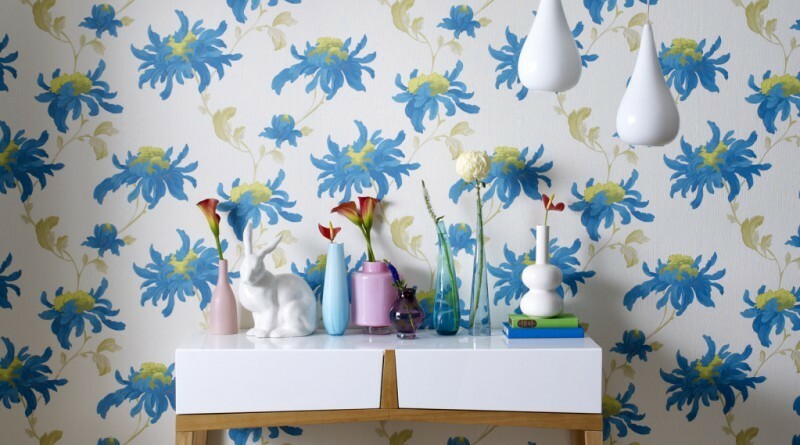 English wallpaper has become a household name in different countries of the world. 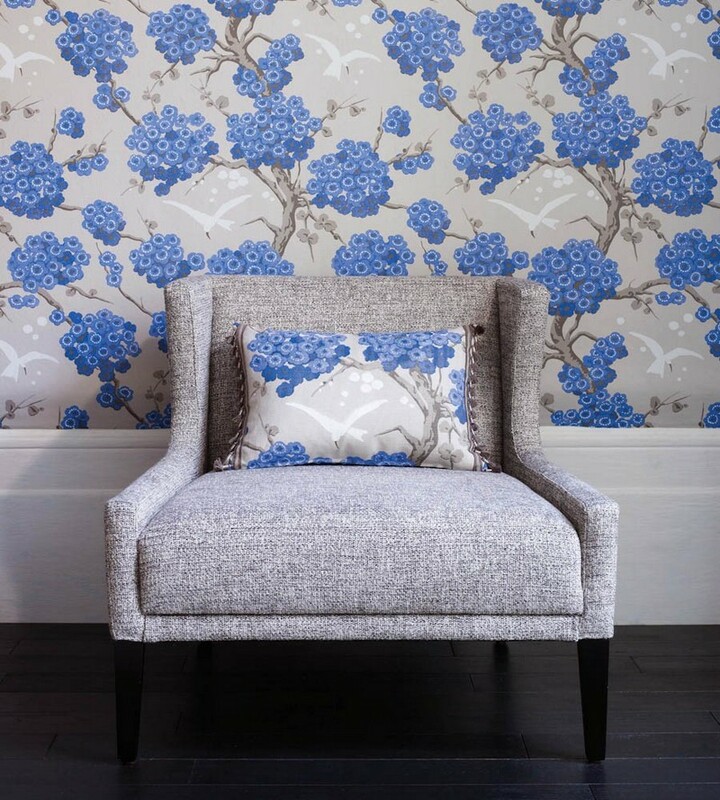 This phrase conjures up images of definite patterns in our minds – perhaps, floral motifs, scallops, lilies, stripes or Scottish squares. In the previous post we highlighted typical motifs of Georgian and Victorian wallpaper. And now it’s high time to learn more about other styles of this splendid wall covering. 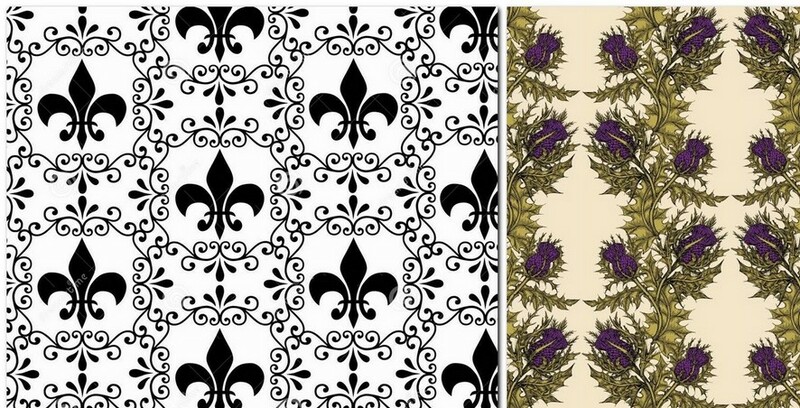 Lilies, the Tudor roses, thistles, shamrocks and crown – nowadays all these symbols of royal power and national emblems are used as patterns for wallpaper collections of English brands. These can be replicas of historical patterns or ornaments created by the will of a contemporary designer. Using symbols of supreme power in wall décor is undoubtedly great latitude and manifestation of extremely liberal attitude to royal attributes. Formerly they were allowed for use solely in royal interiors. Truth is lilies are no longer present on the crest and, correspondingly, do not symbolize royal power anymore after King George III renounced the title of the King of France in 1801. 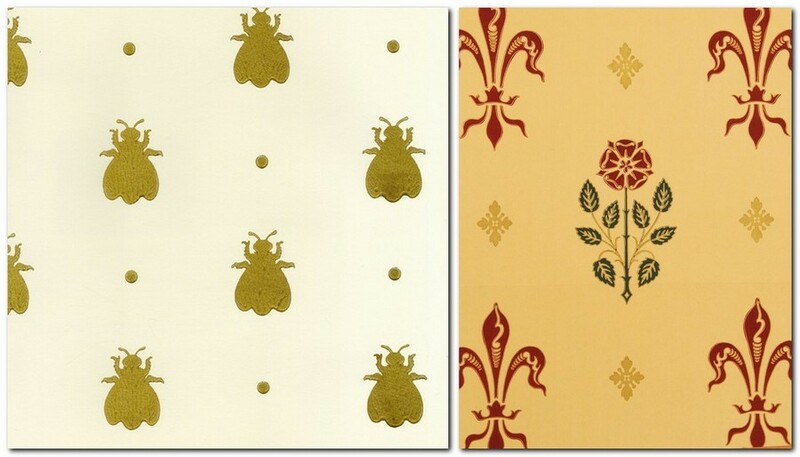 While a bee, so beloved by English wallpaper manufacturers, has nothing to do with British monarchy at all – it’s a personal emblem of Napoleon Bonaparte. This motif can be safely called out-of-time. For example, stripes emerged in classical-style interiors back in the Georgian era and live on. They have always been and remain one of the dominating motifs in men’s work rooms and home libraries. In this case stripes appear in restrained and quiet color palette. By contrast, in resort hotel interiors you are more likely to see light shades or contrasting combinations of white and red or white and blue. Contemporary designers do what they like with stripes, changing their colors, widths and directions. Same goes for tartan pattern. Being a symbol of Scotland and Scottish clans, initially it was a pattern applied to wool fabric. But over time tartan has become an essential part of British interior traditions and a distinctive feature of Vivien Westwood brand. 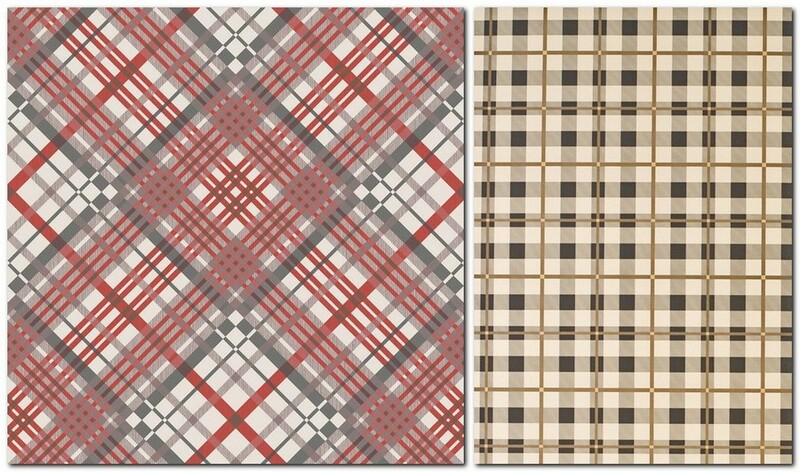 By the way, famous Burberry squares are also quite young – the pattern was designed just in 1924. 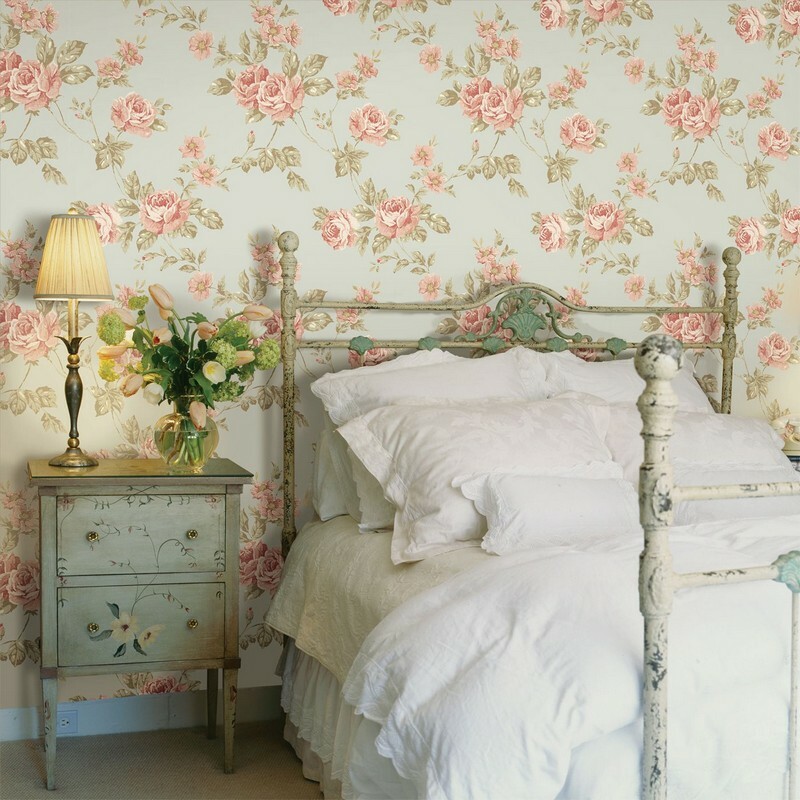 Flowers are an inexhaustible theme of English interiors. The British are big gardening lovers, so no wonder floral motifs have dressed up the walls of their homes in all times, be it exotic flowers of pomegranate or cherry blossom, classical garden roses or peonies, primroses or poppies. Versatile was also the way of imaging the flower: from ornamental outlines to realistic and detailed, big and miniature, in bouquets and separately – they either completely fulfilled the entire wall or appeared in small details or geometrical shapes, against light and dark backgrounds.